There’s no question that Manhattan’s Chinatown is changing. Yet amid fierce competition as a dining destination from Flushing and Sunset Park, Manhattan’s Chinatown remains one step ahead. The food scene between Lafayette and Allen is transforming, with a host of new restaurants adding chickpea guacamole and açai bowls to the neighborhood’s traditional roster of dim sum, hand-pulled noodles, and seafood. In crumbling alleys and storied nooks, you’ll still find buckets of that greasy, old-school charm -- but now there’s much else besides. Featuring a traditional dim sum parlor, a Japanese poke shop, and a hole-in-the-wall noodle joint, these are the best places to eat in Chinatown. 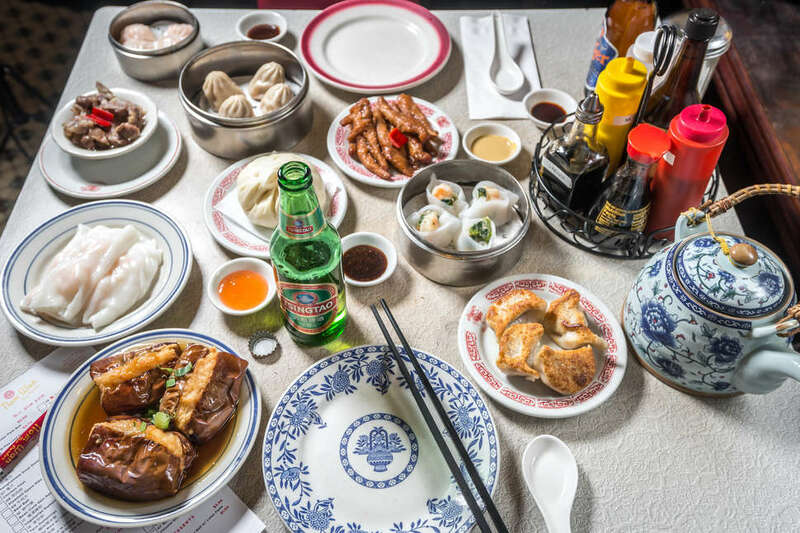 No guide to eating in Chinatown is complete without a nod to the OG tea parlor, which has been slinging dumplings and other dim sum favorites since 1920. Second-generation owner Wilson Tang took the helm in 2010, breathing new life into the biz (everything is now made-to-order), while still managing to maintain its retro charm. Brunch is the move here -- go for the fried dumplings and slick noodles mixed with beef, served with a generous helping of nostalgia for the Chinatown of yesteryear. Bring your friends and order the aptly named “big tray of chicken”: a Henan dish consisting of wide, hand-pulled noodles, bone-in chicken, and potatoes stewed in sauce spiked with chili oil and cumin. 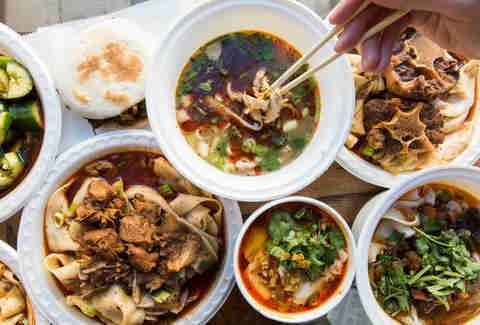 The noodle soups are standout, too, and since everything is insanely cheap, you can eat your way through the menu without spending a fortune. 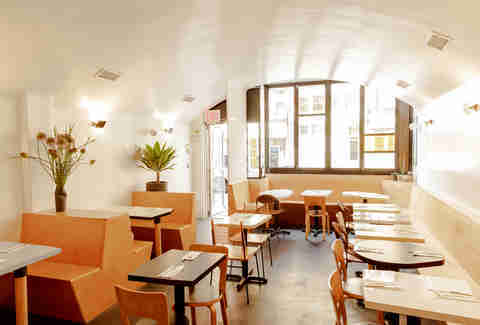 The former Fung Tu has morphed into part of the Nom Wah empire, serving the familiar repertoire of small plates, starring snow pea and shrimp dumplings, duck confit fried rice, and roti pancakes with vegetable curry. 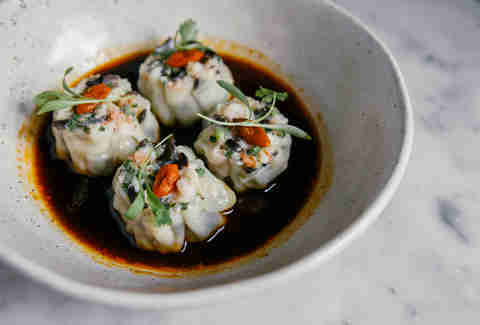 Dishes are meant to be (begrudgingly) shared, and the drink selection boasts beer, natural wines, and a handful of cocktails infused with Chinese ingredients. There’s no shortage of noodle shops in this neighborhood, but there's only one that offers ramen. Tucked in a Mott St basement, this cash-only noodle den prides itself on creative bowls like spicy green curry and black pepper tonkotsu. 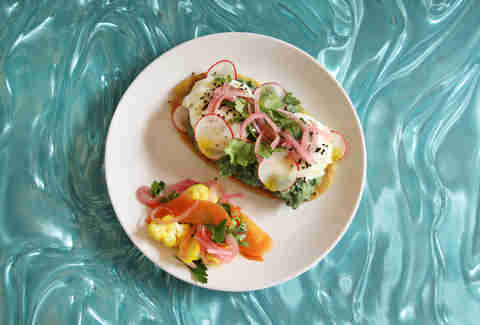 Brunchers rejoiced when this stylish canteen moved into its larger, white-on-blond-wood digs, and it’s continued to draw crowds with Instagram-ready acai bowls, nori wraps, and other health-centric eats. Don’t be afraid to go all in with the breakfast sandwich, though: it’s piled high with scrambled eggs, avocado, and cheddar cheese goodness. Cantonese classics and fresh seafood are the focus of this longtime Chinatown resident, where you can dig into garlicky Dungeness crab piled on noodles and flash-fried flounder. The meat department pulls its weight, too -- just try the crispy-skinned chicken or barbecue char siu. Husband-and-wife team Marc Kaczmarek and Mei Chau run this Baxter St bistro, a cozy oasis that turns out homestyle Malaysian cooking. Platters of lamb rendang and bowls of curry-based seafood laksa fill the pint-sized gem with a fragrant scent that should seriously be bottled. When East Broadway’s Lam Zhou shuttered, dumpling and noodle lovers across the city were inconsolable. Luckily, it soon reopened as Lan Zhou, serving the same acclaimed pork and chive dumplings and soul-warming bowls of hand-pulled noodles. You’ll be so busy slurping the aromatic broth that you’ll forgive the bare-bones service, just as bare digs, and the intermittent sound of dough being slapped in the kitchen. Dinner and a show takes on new meaning at the Chinatown staple, where its namesake dish gets paraded through the dining room and skillfully carved tableside. 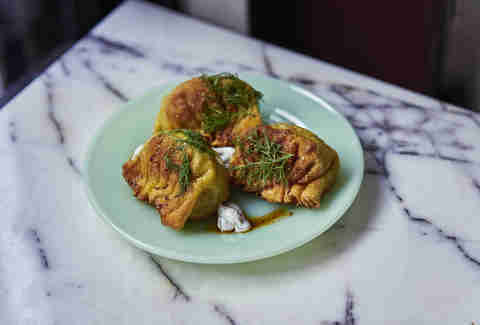 The juicy slivers of meat and crisped-up skin are left for diners to roll up in roti-like pancakes -- a pricey splurge that every New Yorker should make at least once. No matter which branch of this Bourdain-approved chainlet you’re eating at, the mouth-watering hand-pulled noodles and lamb burgers always satisfy. Here, it’s conveniently located next to Chinatown Ice Cream Factory -- which you should definitely hit up after dinner, by the way. 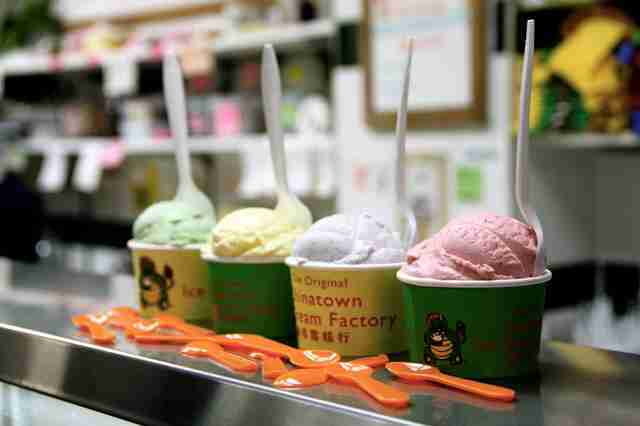 The family-run Chinatown Ice Cream Factory has been a local institution for more than 40 years, serving house-made scoops topped with Asian candies. It feels more like a classic narrow Chinatown hallway than a full-service ice cream parlor, and it’s consistently packed with locals and tourists, no matter the season. Order from the “regular” menu, a stacked list of Chinese-inspired flavors like almond cookie (made with cookies from Golden Fung Wong Bakery), green tea, and durian. Or stick to the “exotic” flavors foreign to China: rocky road, strawberry, and pumpkin pie. 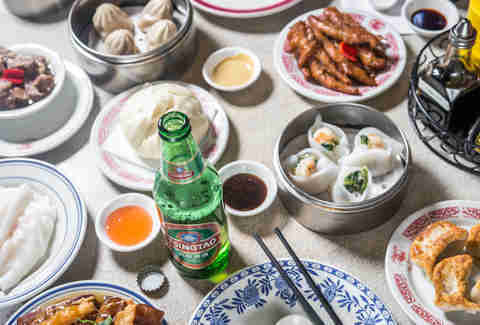 Straddling the border of Chinatown and the Lower East Side is the newest rendition of Hwa Yuan, a legendary Chinese restaurant that reopened in its original, three-story space after closing 30 years ago. This was the kitchen that made cold sesame noodles a New York staple, and the late Shorty Tang’s son Chen Lien Tang has thrown in his own twist in the new iteration, while largely staying true to his father’s vision and recipes. Sure, you can get the famous sesame noodles and jiggly soup dumplings, but there are also Americanized dishes, like chicken with Chinese broccoli. 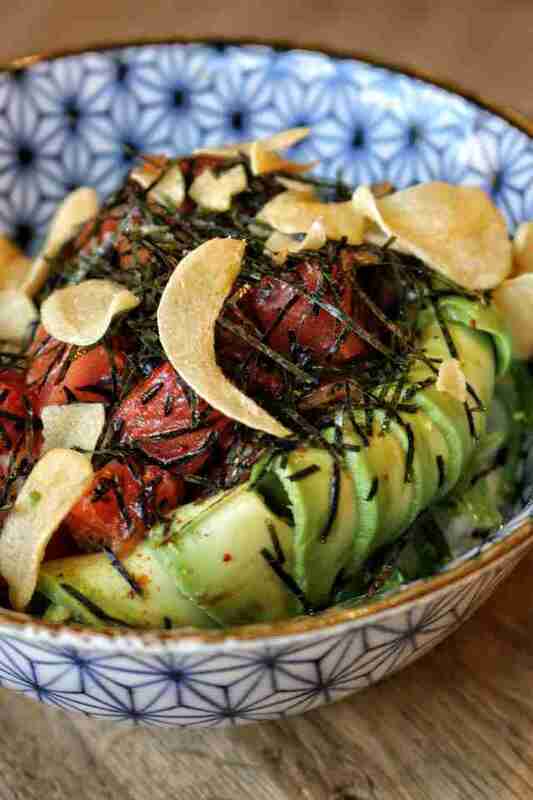 Modern Hawaiian poke meets Japanese chirashi -- with a pinch of Korean and Chinese flair -- at this fast-casual, sea-to-table spot. At the helm is Michael Jong Lim (formerly of Neta, Masa, and Aldea), who mixes high-quality, fresh ingredients with reasonable prices. Brightly colored bowls emerge from the small kitchen teeming with rice, sliced fish, and toppings like garlic chips and tobiko. Try the wasabi ponzu salmon (with shiso, tobiko, and shichimi) or the wasabi goma shoyu bluefin tuna (with nori, hijiki, avocado, and garlic chips). Admittedly, there’s always a wait for Joe’s (Pell Street wouldn’t be Pell Street without hordes of diners spilling out into the street). And yes, the place is noisy, and they seat you at shared tables with random people -- but therein lies the charm. 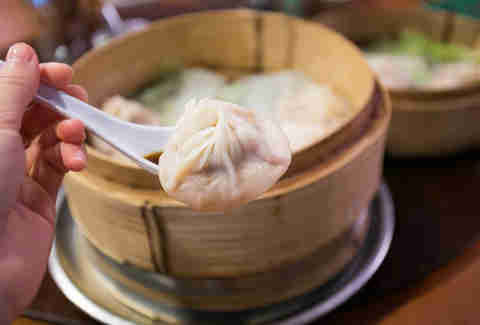 New Yorkers are acutely aware that Joe’s is synonymous with soup dumplings, and that’s what you’re here for, after all: plump pillows of dough bursting with crab, pork, and hot soup that inevitably leaks into the wicker steamer (or on you, if you’re not careful). West Coast chef Danny Bowien has brought his talents to New York, offering inventive, rule-breaking Chinese food. This isn’t your average Chinatown haunt -- there’s a club-lounge edge to the sultry interiors, where lavish chandeliers hang from the ceiling and velour banquettes line the walls. 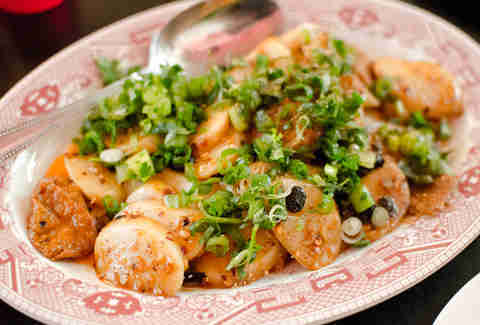 Menu items are soulfully Chinese, with a dash of NYC inspiration. Go for the fiery kung pao pastrami (Katz’s meat and home fries stir-fried in a spicy chili paste), or the salt cod fried rice, with Chinese sausage and egg. 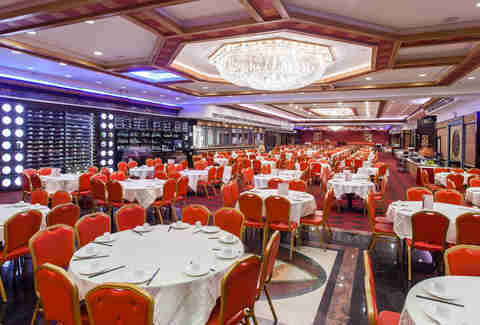 Groups have to be patient to snag one of the large round tables at this cavernous Hong Kong-style banquet hall. The payoff comes when waiters decked in yellow suits wheel carts piled high with bamboo steamers, turnip cakes flecked with pork, and spare ribs, then unload the bounty onto your table. To avoid the rush, go in the late afternoon when you’re sure to find one of the 120 tables available. Tucked between the courthouses and Chinese eateries of Bayard Street is Lalito, an oasis of Cali-Mexican food, with a dash of veganism. 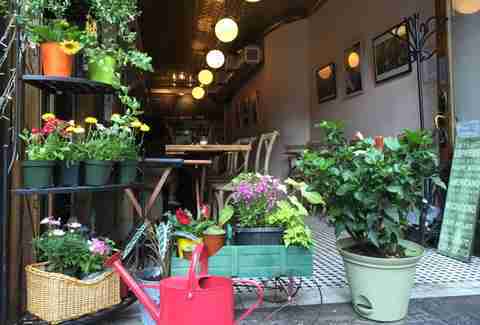 The food, like the space, is bright and colorful. Dishes include the vegan Caesar (sprinkled with nutritional yeast, spirulina, and thin rounds of radish), the mini steak (a 3.5-ounce steak doused in chili oil), and carnitas served with warm, house-made tortillas. Most people pile into one of the many banquet halls for weekend dim sum, but the less-trodden Dim Sum Go Go is the savvier move. 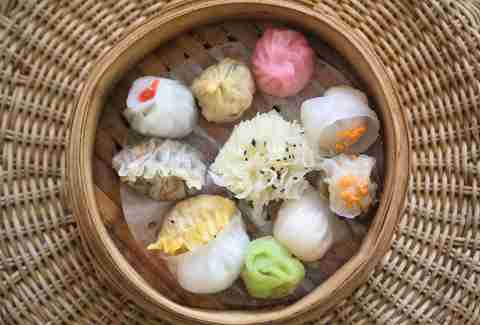 The dim sum menu features 24 kinds of dumplings, prepared with creative flair under the eye of the restaurant’s founders, a French American food writer and a Hong Kong chef. Expect pink beet-laced dough, steamed buns, and zingy sauces, including a green ginger and scallion dip. Overwhelmed? Opt for the dim sum platter, which lets you sample a selection of 10 dumplings. Nobody just stumbles across Pulqueria, an underground cocktail den only discovered via a nondescript door and a curling flight of stairs. Once inside, the Mexican-themed space is split into two rooms: one for drinks and snacks, and the other for sit-down meals. 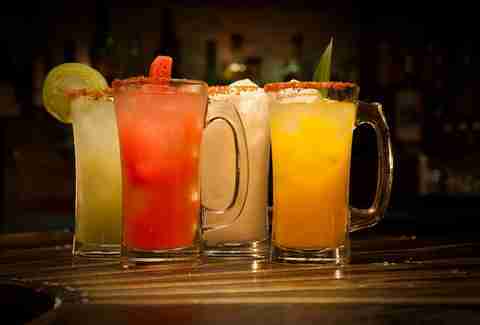 Choose the former, snag one of the booths, and take your pick from the mighty margarita menu, best enjoyed with a side of chips and guac. It’s hard to walk down Mott Street without tripping over tourists and kitschy souvenir sellers, but among the eclectic assortment is 456, a sliver of a space almost always packed with diners. There are about 60 reasons it’s so popular, conveniently typed out for you on the menu. Plates of chow fun noodles come dressed with chunks of meat, crunchy snow peas, and bean sprouts, and the Chinese-style steak boasts slabs of tender meat slathered with a thick gravy. Order a bunch of dishes for the table, but don’t leave without trying the tiny fried pork dumplings: clouds of bao dough with satisfyingly crunchy bottoms. In a building once home to the Chinatown Opera House, newcomer Chinese Tuxedo plates up contemporary fare inspired by the East Asian cooking of Australia. The two-story restaurant has the same kind of unfinished walls and naked bulbs as many a Chinatown haunt, but with a very cool Anthropologie-meets-speakeasy vibe. The food is elegant (chicken liver paté served alongside salted radishes and apple pickles), avant garde (the beef and broccoli dish is dressed up with ox tongue, green tomatoes, and paired with a black bean relish), and pricey (the whole crispy-skin squab goes for $32) -- but it’s well worth the outlay. The best thing about waiting endlessly in the courthouses of Centre Street? Being able to slurp noodles at Great NY Noodletown during your lunch break. Roasted meats hang in the window, and inside you’ll find an array of Cantonese-style dishes and noodles galore. 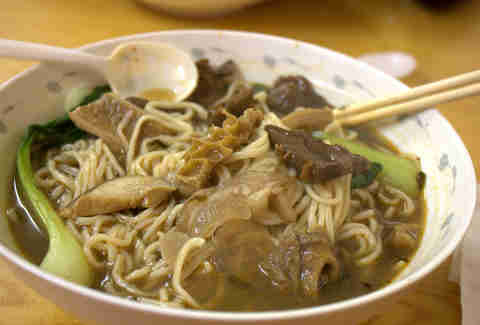 There are wheat noodles, rice noodles, lo mein, chow fun, and egg noodles, some which arrive huddled in a bowl of soup, and others that are pan-fried with hunks of meat, fish, and ribbons of vegetables. Amy Schulman is an Editorial Assistant at Thrillist who still mourns the closing of The Canton, her favorite Chinatown restaurant. To reconcile the loss, she eats soup dumplings at Joe’s. Follow her on Instagram. Patty Lee is a reporter and editor who has written for Zagat, Time Out New York, New York Daily News, and Cooking Channel. She’s been eating her way through Chinatown since birth. Follow her on Twitter and Instagram.